Formulated with silica and volcanic perlite, Vichy Idéal Soleil Anti-Shine Dry Touch Lotion SPF 60 has a lightweight, creamy feel that dries instantly to ensure long-lasting sweat, oil, and sebum absorption. It’s the perfect choice for those with normal, combination skin or oily, sensitive skin types. Vichy Idéal Soleil Dry Touch SPF 60 contains patented broad-spectrum UV filters, including Mexoryl, for high UVA/UVB protection, and is water and sweat resistant for up to 80 minutes. It will help prevent sunburn and maintain sun protection daily but also during high levels of activity such as swimming, surfing, cycling, running. Apply generously and evenly on the face, 15 minutes before sun exposure. Searching for the right facial sunscreen can be difficult. It can't feel too greasy or sticky, no white cast, not too strong of a scent, and preferably a lightweight formula. 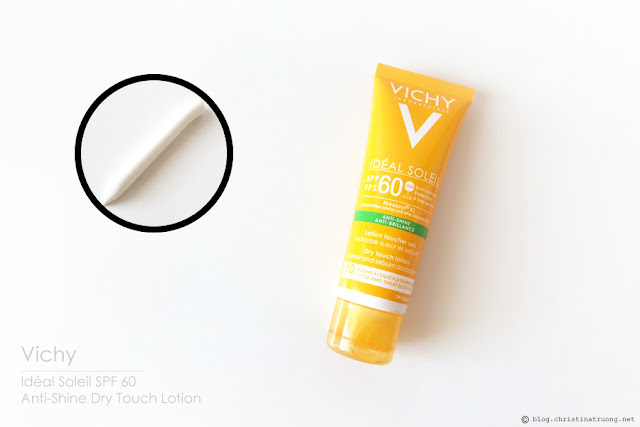 With an SPF of 60, Vichy Idéal Soleil Anti-Shine Dry Touch Lotion provided a fragrance-free sunscreen, upon application it does have a very faint sunscreen scent - barely detectable. The texture of the lotion is thick but easily spreadable and absorbs and dries into the skin easily and fast. When they stated Dry Touch Lotion, they weren't kidding. Once it absorbed into the skin, it's dry and smooth to the touch (similar to a matte finish), no sticky or oiliness. It goes very well under makeup and doesn't provide a white cast. A little goes a long way - I would say a pea-sized amount is plenty to cover the entire face and down the neck. 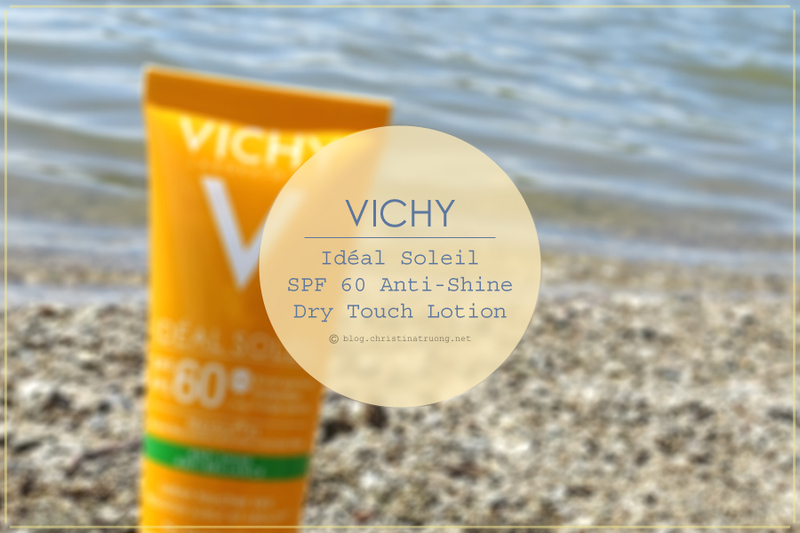 What are your thoughts on Vichy Ideal Soleil Anti-Shine Dry Touch Lotion? What do you look for when it comes to sunscreen (SPF, texture, scent)?